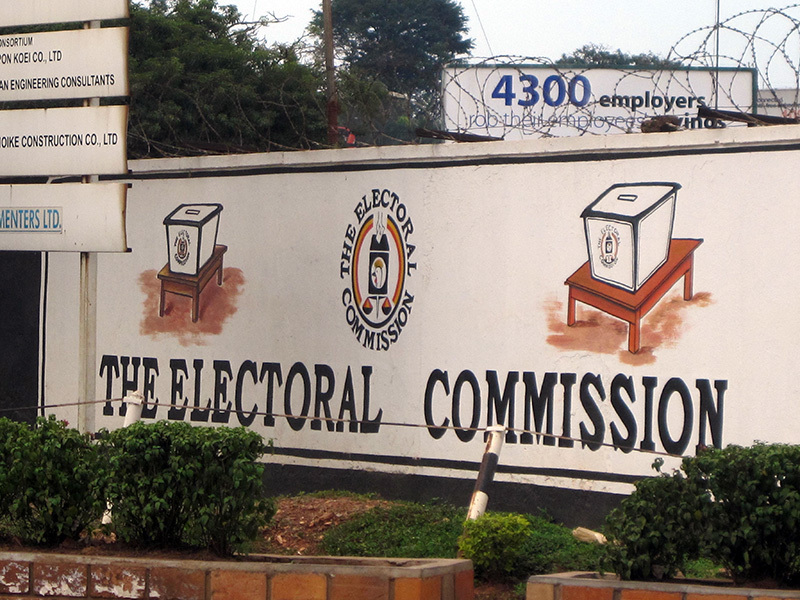 “I declare Yoweri Kaguta Museveni who attained the highest number of votes as a duly elected President of the Republic of Uganda” – Badru M. Kiggundu. “The commission declares candidate Yoweri Kaguta Museveni as the elected President of Uganda this 20/Feb/2016 – Kiggundu” (NTV Uganda 20.02.2016). Yoweri Kaguta Museveni 60.75 5%” (NTV Uganda, 20.02.2016). 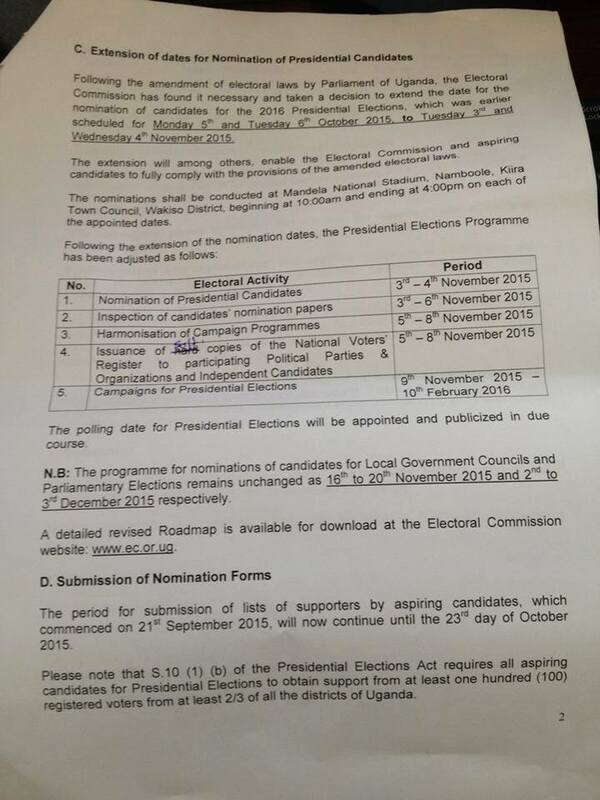 “Electoral Commission Chairperson Eng. 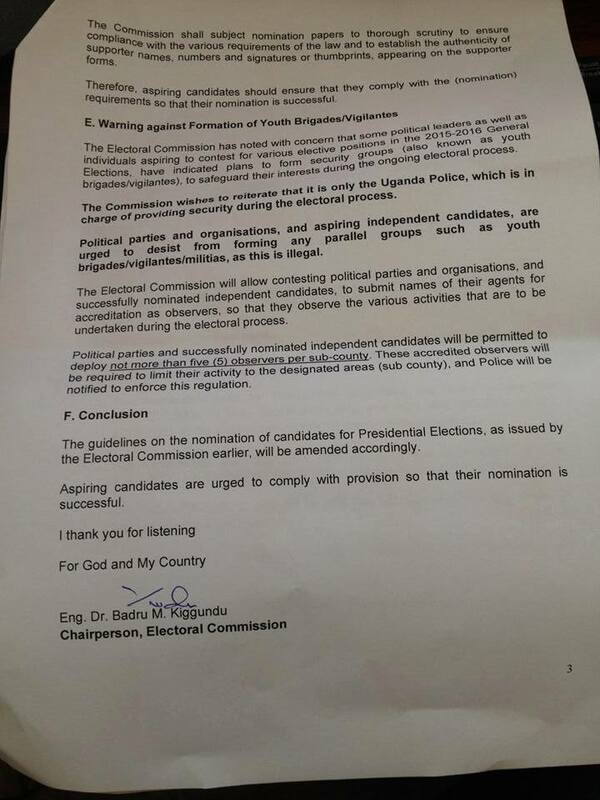 Badru Kiggundu has declared NRM’s Candidate Yoweri Museveni winner of the 2016 Presidential Election!!!!! 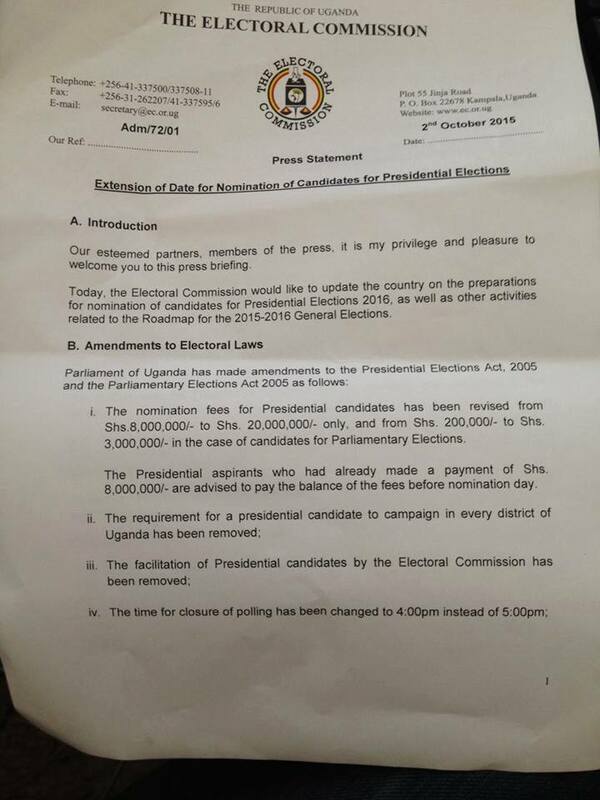 According to EC’s Kiggundu, Museveni scored 60.75%. As Kizza Besigye Wrn. scored 35.5%” (Hello Uganda, 20.02.2016). And there was total silence when the result was delivered, only “three people clapping” after the result was delivered. This here is proof of the silence of the result. I don’t expect the result to be served in the public like it was in 1996. AS the military and roadblocks shuts down the Kampala and the tension in the country is still strong! Peace.